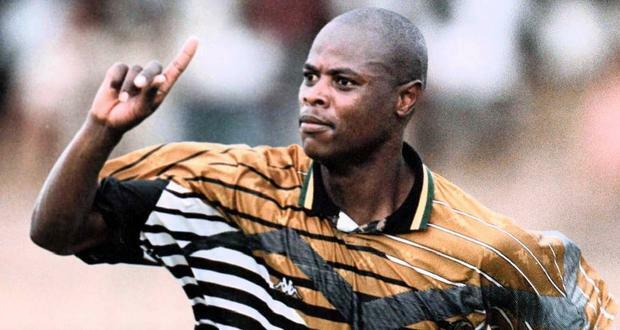 Cape Town - Bafana Bafana legend Phil 'Chippa' Masinga died on Sunday in a Johannesburg hospital from cancer, the South African Football Association (SAFA) confirmed in a statement. Early last month, Masinga was admitted to Tshepong Hospital in Klerksdorp with an "undisclosed illness" and then later moved to a hospital in Parktown. Further efforts were made to get the former striker to a private hospital in order for the 49-year-old to get the best medical care. Meanwhile, retired South Africa captain Lucas Radebe, who played with Masinga at then English top-flight club Leeds United in the 1990s, said the country has lost a "great legend". "For us as Africans it was a great experience," Radebe told the BBC. "We were not used to the weather and we struggled a little bit - we kept each other warm at times. "Phil was a big hit with the team and the players. I looked up to him and I think he inspired me the most. It was absolutely great the way he adapted to the situation. He was easy to get along with and he was most respected at the club as a person." A physically formidable forward, he scored the goal that beat Congo Brazzaville 1-0 in Soweto and took Bafana Bafana to the 1998 Soccer World Cup in France. Masinga ran on to a pass from midfield and slammed an unstoppable shot over the Congolese goalkeeper before a capacity 80 000 crowd, including then president Nelson Mandela. He was part of the South African 'golden generation' that won the 1996 Africa Cup of Nations just four years after an apartheid-induced international ban was lifted. South Africa qualified for the 1998 and 2002 Soccer World Cup tournaments, but the national team has been in steady decline since. He played for local clubs Jomo Cosmos and Mamelodi Sundowns before moving abroad in 1994 to join Leeds. Masinga also played for St Gallen in Switzerland, Salernitana and Bari in Italy and Al Wahda in the United Arab Emirates. The attacker scored 18 goals in 58 international appearances between 1992 and 2001. Funeral arrangements are yet to be disclosed by the Masinga family.